Just after relocating from Tel Aviv to Los Angeles in 2015, the only constant subject in Noa Yekutieli’s new routine was a man in wheelchair encountered daily on a highway exit ramp on the way to her studio. Over the course of six months the artist got to know Kevin in brief interactions timed by the traffic light, and photographed these morning encounters daily. Gradually, their brief meetings became moments of consistency in an otherwise inconsistent experience of living in a new city. The man’s presence became familiar in a time when most things were unfamiliar, until one day he was no longer on the same street corner. Time went by without Yekutieli seeing Kevin until one day she spots him without his wheelchair walking a bike down the street. Bringing these images into the studio, the documentation was deconstructed and reconstructed many times over in search of an invisible truth. 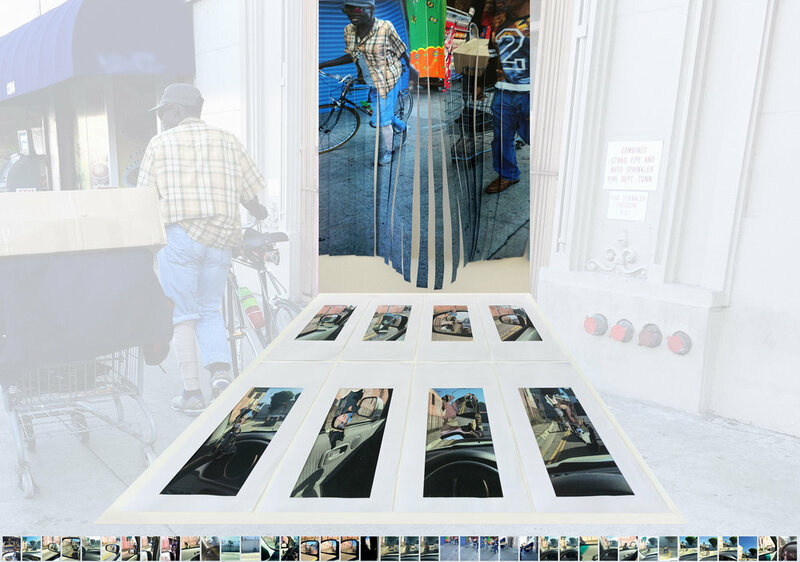 The result is a singular flat surface containing various planes of visualization such as street documentation, the artists’ studio, and the digital archive as a scroll of images that recounts the original sequence of events along the bottom. As they are cut out, rearranged, rephotographed, and printed as a new surface, the artist creates a new image in which multiple narratives are presented simultaneously. 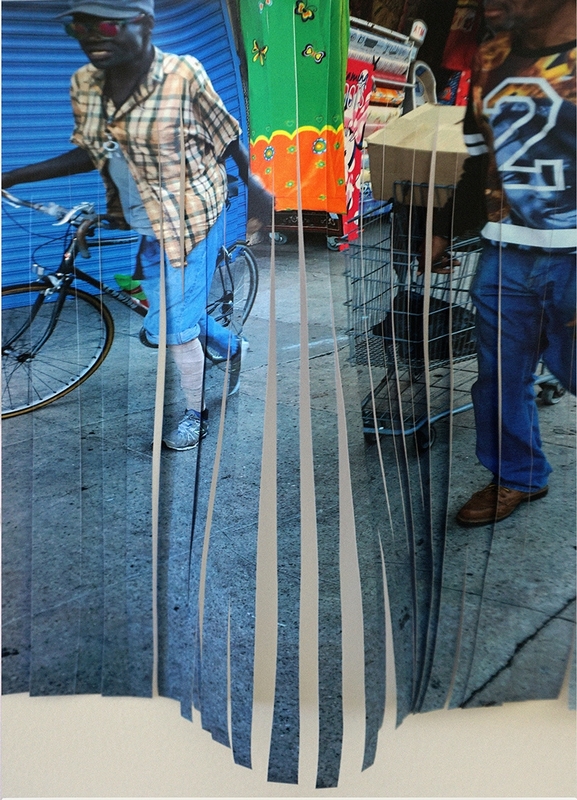 Through deconstructing images in a number of techniques, THE WAY STORIES ARE TOLD examines how photography as a raw material can radically shake the notion of truth in an image. Various inconsistent narratives occupy a single space while blurring the line between fiction and fact.